Mari-o and Man-du! Foodmario is a female* food and Foodmandu is a male food. Mama Mia! I’m a joking. Haha! Hamle pani JokeMario! Which one are you Technocrats or a Social Media Guy? Open mapping data is one sort of open data, which might help the private sector enhance their efficiency and build social and financial value. However, there are those in Nepal who are updated with all the most recent Technology trends, but The sad reality is the maximum of individuals continues to be confined to Social Media Networks. 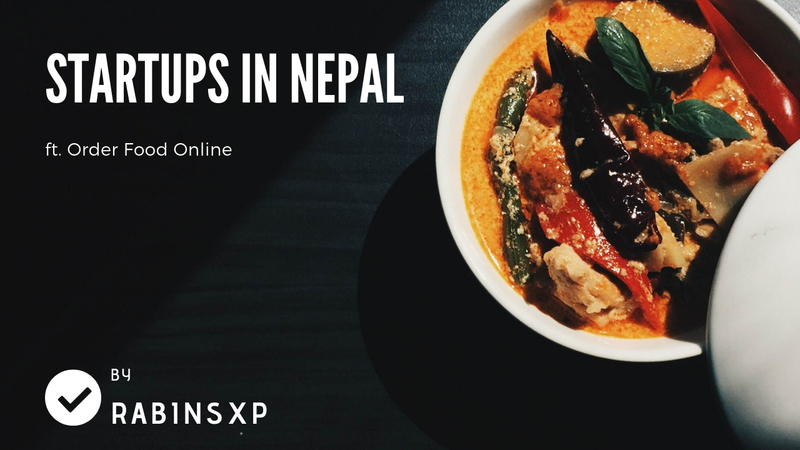 In this blog at RabinsXP, I am talking about the online startups in Nepal ft. order food online. Let’s learn about a few technology startups like Foodmario, Foodmandu, Udhyami, Tootle, Patho, SastoDeal, HostingSewa, SastoTickets, and others. All you have to do is contact them and inform them about the food you’re ordering. Whether you are a person who’s searching for some tasty and wholesome food or somebody who wants other people to taste your food, Foodmario might be the ideal platform for you. They provide homemade food with yes/no delivery or service charges. It isn’t the industrial kitchen food. They have home chefs out there in the various location where you can choose various food and order. Home chefs always have some unique recipes of their very own. *Her values might have adorned themselves by obtaining a position in the industry place. They plan to boost the number of cooks to 50 in the subsequent three months. Rohit Tiwari, Founder of Foodmario, thinks various capable individuals in the city aren’t getting the correct platform. After Udhyami, a new business model now referred to as Foodmario was prepared. It was among the very first hats they did get. Since that time, the range of online ride-sharing businesses is established in Nepal, especially in Kathmandu Valley. It’s simple to download and install apps like Tootle & Pathao to your smartphone. When you speak about the most recent technology trends in Nepal, Electronic gadgets can’t stay behind. Within the next article, we’ll talk about future tech trends in Nepal. The growth of technology has completely altered the game today. It’s possible to imagine the increase in internet shopping in the past few years. The majority of the times the same customer asks for several food items from various cooks. It gives the service wherever you’re. Online food delivery companies enable people to order food from an assortment of cuisines at any opportunity to the location of their pick. The main reason for this is the availability of inexpensive smartphones in the nation and number of Nepalese individuals residing abroad. In addition to that, the flexibility, scope, and maturity that’s supplied by OSM Nepal cannot be matched by other services. At the same time, they ensure there is no compromise on the caliber of the food. The vital part of the startup like Foodmario & Foodmndu is the emotional attachment that their clients build with the cooks. These entrepreneurs understand that an increasing number of individuals have hectic work schedules and would like to cater to such folks. Now, however, or perhaps, the venture is looking forward to expansion via operating outlets in a number of the important cities in the nation. Currently, big companies like Facebook are beginning to utilize OSM. While there are lots of new companies appearing to get into the internet food shipping game, Foodmandu is arguably the most well known. Their company is quite social-centric too. You’ve got to face various challenges while developing business. I’ve learned it is not smart to attempt to engage in two businesses at the same time particularly during the formative decades. Like in some other regions of the retail sector in Nepal, the food shipping company is also witnessing an e-commerce boom at the moment. As per RabinsXP’s understanding, by organizing these sorts of events, Udhyami Seed is trying their very best to uplift Nepali enterprises in an international market. If you’re an ekdam jhakkas foodie residing in Kathmandu, you have to have ordered your food online quite a good deal of times. They have just begun to grow online. I can see how they want to create the product different from anything that’s currently available in the marketplace. Whenever you wish to eat something that’s healthy and tastes impressive, Foodmario is just one call away, all you have to do is visit their website, choose the food and provide them a call. Besides that, Foodmario is additionally an awesome chance for the home cooks who wish to showcase their skills to the world. Foodmario is soon likely to launch the very first version of its cellular application. 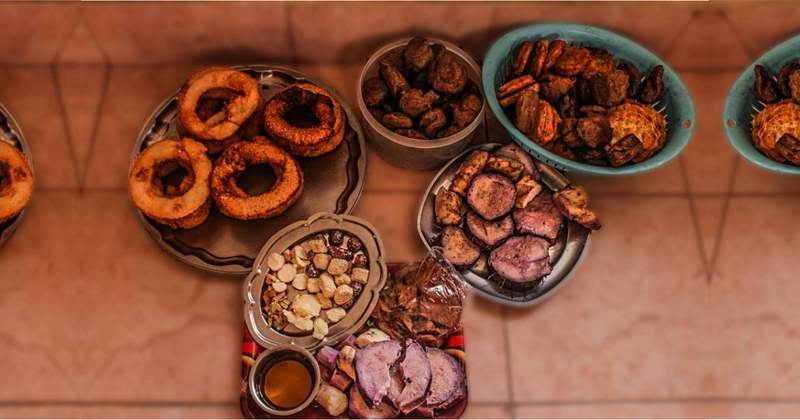 The most important motto of the organization is to connect people throughout the medium of food, and they intend to continue to work hard to realize their objective. For example, the Naulo restaurant’s ambition is exceptionally high; perhaps they would like to scale to distinct sections of Nepal and even outside Nepal someday. It was such a distinguished achievement about them in short length of time. As with any other startup, they’ve been through lots of obstacles. They offer robotics and AI service in their restaurant. Nepal has already entered into the digital world. We can see increasing in the online payment system like eSewa, Khalti, IME Pay, Prabhu Pay and many more. This indeed indicates an increase in eCommerce industry in Nepal too. You can see many worthful sites like SastoDeal – Online Shopping Site, HostingSewa – Web Hosting in Nepal, SastoTicket – Cheapest Air Tickets, etc. There are lots of startups in Nepal; I will love to read how and why they impact your life on the comment section below.